1. Sync your devices. 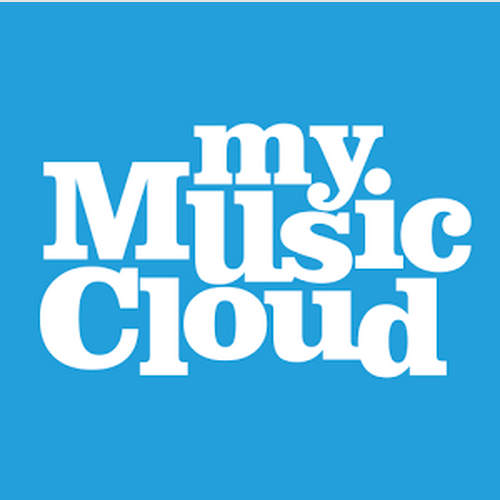 Tablets, phones, laptops — Connect up to 10 devices to your MyMusicCloud account from Apple to Windows. Our service speaks every OS language. Just download the app, log in, and once you’ve imported it to one device, your music will be there waiting. You can even start a song on your phone, pause it, and resume playing on your tablet. 2. Choose your songs. Store as many songs as you like for free with our cloud-based music delivery service. When you’re ready to listen, select from 250 playable songs. Want to swap one track for another? Just click the “TRACKS” tab and hover over the phone icon to the right of the song’s title to make it available on your mobile device. Or listen to your entire library anytime through our unlimited plan (just $40 / year). 3. Make a playlist. Hooked on the new Arcade Fire album? Or itching to hear anthems from your high school glory days? It’s easy to make a personal playlist. Select the “PLAYLISTS” tab, then click “Create New Playlist.” Once you’ve named it, hover over any song or album and click on the blue arrow. Select “Add to Playlist” — to include the item you want. Feeling lazy? When you sign in, your home page will display a “Recommended Playlist” based on your recent listening habits. To change the recommendations, play songs like the ones you currently want to hear. For more user tips, visit our FAQ or post a question in the comments section and we’ll do our best to answer it. Paying bills online or reading work emails is a lot more fun with your favorite songs playing in the background, isn’t it? But who wants to have a dozen browser windows open at once? Not us and we’re betting not you either. That’s why we’re helping you multitask with an exciting new product launch. This week, MyMusicCloud is unveiling a new browser toolbar* to help you easily listen to your music collection, discover great music store promotions, and share songs with your Facebook friends without ever leaving the page you’re reading. No more juggling multiple tabs and windows while trying to play DJ. But that’s not the only cool insider tool MyMusicCloud offers. Stumped by Nicki Minaj’s latest rhyme? Or trying to remember the words to the Beatles’ classic “I am the Walrus”? We make finding both of these things super easy: With the click of a button, we fetch the lyrics for you. No need to wonder, or open a separate browser window, or surf YouTube hoping someone transcribed the song accurately. Bam! It’s done. And don’t forget, you can still sync your Dropbox music files with our cloud-based music delivery service. Rather than relying on an internet connection to stream songs every time you want to listen, you can play them offline too. Unlike cloud storage services on Google, Amazon, and Apple, Dropbox and MyMusicCloud are also available globally from Australia to Taiwan and beyond. Tell us what you think of our new toolbar or any of these functions below. *The toolbar is available for Windows OS users, and runs on Firefox and Internet Explorer browsers. Here at MyMusicCloud, we love marketing our cloud-based music delivery service. In the process, we get to discover new artists, receive comments from satisfied customers, and even follow music festivals around the world. But our own marketing doesn’t hold a candle to yours. We can brag, get the word out, and circulate all of the fun that’s inherent in a world filled with accessible, awesome, diverse, and up-to-date music. But the best testimonial comes from you. Your friends and family know you, and they trust you. Put in a good word for our music service to your friends and family, and it’s 100 times stronger than anything we can say about ourselves. Wouldn’t you agree? That’s why we’re asking you to help us go viral. Invite your friends using our special link on Facebook, Twitter, email, and MyMusicCloud web app. And we’ll thank you for it. For every friend that completes the registration process, you’ll receive 250MB of additional storage. That’s dozens of songs—just for getting them to sign up! Get 12 friends to register, and you can earn up to 3GB of additional storage—all for free. That’s over 600 songs of free listening on any device, any time you want to. Share away, and get rewarded with free storage. And then smile as your friends and family thank you for another wonderful recommendation. Log into your account, click on the promo banner on the top right, and spread the word!